This volume concerns spectra with enriched multiplicative structure. 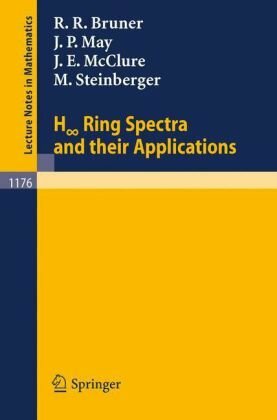 It is a truism that interesting cohomology theories are represented by ring spectra, the product on the spectrum giving rise to the cup products in the theory. These notes were intended as a first introduction to algebraic Topology. Contents: Definition and general properties of the fundamental group; Free products of groups and their quotients; On calculation of fundamental groups; and more.